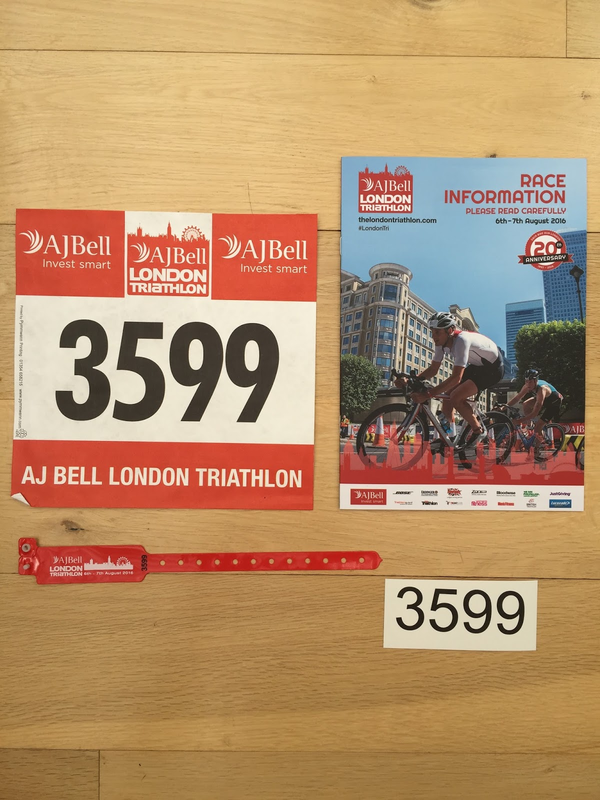 The London Triathlon; the world's biggest triathlon. Well that is an introduction and it certainly doesn't disappoint. Starting from the ExCel Centre, the swim is in the Royal Victoria Dock with the swim and run around the Docklands. With so many different race options over the course of the weekend, there is a triathlon for most abilities. 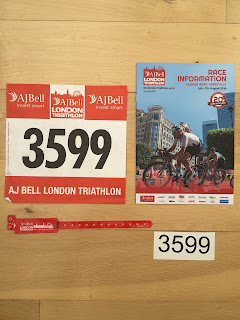 It's worth saying that this was my first Olympic distance triathlon (1500m swim, 40k bike, 10k run) last year and despite the ridiuclous price (we'll get to that! ), My mum really enjoyed coming to support me and I thought having done a half ironman (ha ha!) that I'd smash my target. This is by far my biggest grievance with this triathlon. At a whopping £98 it is without doubt ridiculously overpriced. However looking around at the amount of corporate entries and posery triathletes (there's even a VIP entry option! ), it's not really surprising. If mum hadn't been so keen I do this one, I'd probably have given it a miss because as good as it is, I don't think it's worth the money. The swim is in the Royal Victoria Dock which is surprisingly clean and salty. Despite my/my friend's fears, she didn't swim past an abandoned shopping trolley or a dead body so, phew! The bike is a lapped course which is deadly boring and with zero scenery but relatively flat. It does go around a fair few roundabouts, some of which are quite tight, so if I'd been in cleats I'd probably have lost the plot. The run is a looped course again but lined with spectators which was encouraging. Amazing. Very speedy, efficient and organised. Race packs were send out a few weeks before the race. On the day you collected your timing chip after presenting some ID. Everything was very clear and well marked. Excellent...possibly worth some of the £98. Yaasss! Only criticism is that everyone gets the same regardless of distance or if they did it in a relay. But seriously, a medal is a medal!